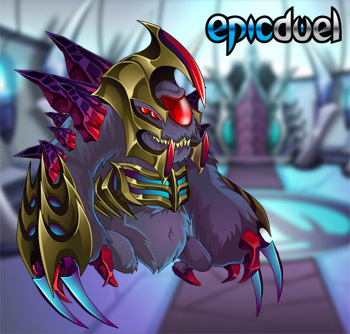 EpicDuel - Game Design Notes: Top-Secret Details Revealed! Some of you may have seen on Twitter that BIG changes are coming to items. We wanted to take the time to explain some of these changes as we get ready for Omega. Today, we'll be talking about gear requirements and stats. 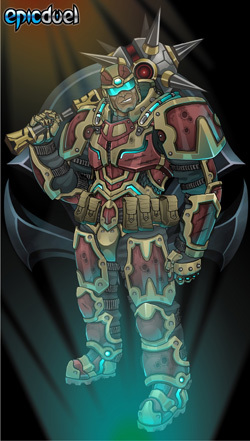 Before we dig into the meat of this post, I will tell you that as soon as Omega launches, the Delta Knight armor, Platinum's Pride armor, the Dragonoid Saga gear, and all the Harvest gear will be leaving the in-game shops and Varium store. 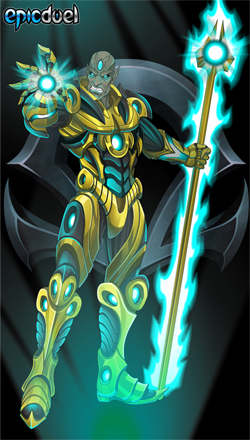 Delta Knight we go ultra rare, never to return again, while the Dragon Buster II and Platinum's Pride will be going perma-rare. We're not yet comfortable posting an official date, but it WILL happen sometime in December before Christmas. If you've been holding off on picking up any of this superb gear, what are you waiting for? Grab it before it's GONE! One major change we want to bring to the game is greater freedom of choice in gear. Currently your choices are severely limited by the level and stat requirements on gear. If your level is too low, you simply can't equip the item. If your level is too high, the item isn't useful enough. If the item has odd stat requirements, you either can't use it or you have to alter your build to equip it. In Omega, these requirements are going away entirely. You can buy and equip any item at any level, and there will be no stat requirements to prevent you from equipping anything. The only requirements that will remain are gender and class for class-specific items. One other limitation to picking your gear is the built-in nature of stats on your items. If you like a staff or gun, but the stats are bad for your build, then that weapon is no good to you. 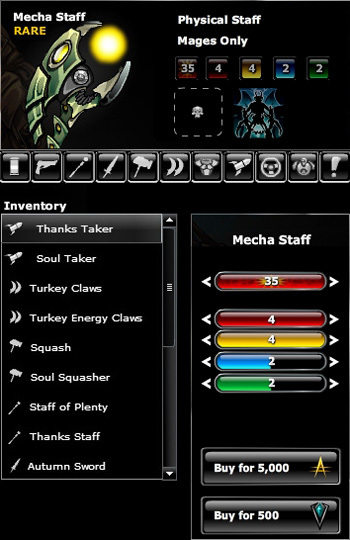 In Omega, you may now arrange your stats how YOU want on all of your items. To maintain balance, you will not be able to put all of the item's points into one stat, but otherwise you can customize it as you wish. Similarly, you will be able to choose the allocation of Defense and Resistance on any armor. Another major change coming to items in Omega is the ability to upgrade any item. As you level up, you will gain the ability to put more stats, damage, and defense/resistance onto your items, up to their maximum potential for your level. This effectively means that any item can be used at any level and will not be stronger or weaker than any other item at that level. Let me repeat that. You'll be able to upgrade any item to your current level and it will be useful in battle. Founder Armor, Beta Gear, last year's Autumn items, that weapon you loved using at level 6 -- all of these will be viable at your level. And just to be perfectly clear, these features will be available with or without Varium. Upgrading your gear and rearranging your gear's stats will have both Credit and Varium options available. That covers everything we want to share today, but we have more still to talk about in the coming weeks before Omega's launch. Maybe next time we'll discuss our plans for enhancements.....Stay tuned! Feel free to discuss everything in the forums. 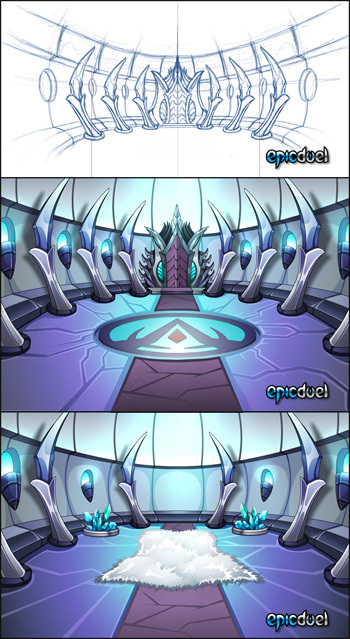 Here's a quick look at some of the projects the art team is working on for the Omega release! Stay tuned for further updates as development on Omega progresses!